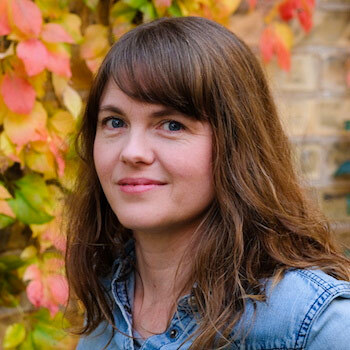 Waterloo – Emily Urquhart has been named Wilfrid Laurier University’s Edna Staebler Writer in Residence for winter 2018. Urquhart is a Kitchener-based author of creative non-fiction and narrative journalism, and her work tackles issues including disability, gender, parenting, creativity, aging and ecology. 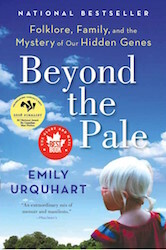 Her first book, Beyond the Pale: Folklore, Family, and the History of our Hidden Genes (HarperCollins, 2015), was a Globe and Mail Best Book and a finalist for the British Columbia National Award for Canadian Non-Fiction, the Kobo First Book Award and the Hubert Evans Non-Fiction Prize. Urquhart has also written on topics including food and travel for magazines, newspapers, and radio, and holds a PhD in Folklore from Memorial University in Newfoundland. She is currently editing a book on folklore and feminism, as well as working on a new book of creative nonfiction titled Our Radiant World, which focuses on the interrelationship between atomic history and family legend. Urquhart will be at Laurier for three months beginning in January 2018 and will participate in events at both the Waterloo and Brantford campuses. While on campus, she will give a public talk on the practice of writing creative non-fiction and will be available for class visits. She will also hold weekly office hours to meet one-on-one with students to offer feedback on their creative writing projects (any genre) and to offer guidance about the creative publishing process. The Edna Staebler Laurier Writer in Residence positions were established in 2012 by a bequest from the late Edna Staebler, prolific creative non-fiction writer and author of the very popular “Schmecks” series of books that celebrate the culture of Waterloo Region. Previous Staebler Laurier writers in residence include Pasha Malla and Ashley Little (2017), Drew Hayden Taylor (2016), Sonnet L’Abbé (2015), Colleen Murphy (2014) and Andrew Westoll (2013).